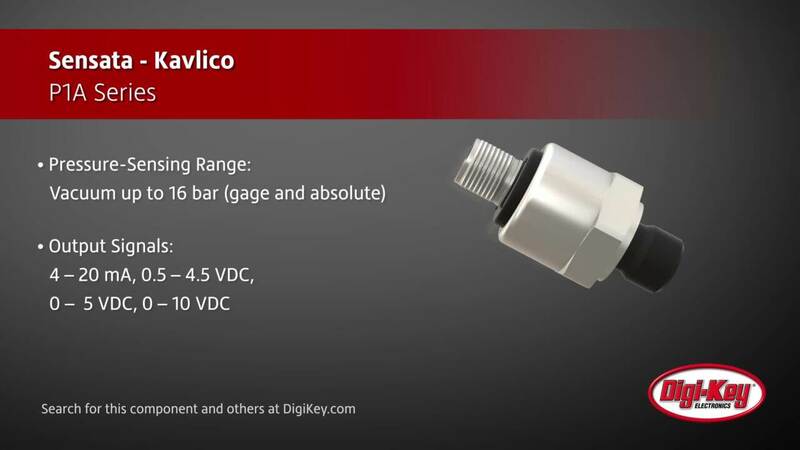 Kavlico's P1A family measures pressure ranges from vacuum up to 16 bar and features a highly modular compact geometry. This modularity and extensive range of options offered by the P1A family make the advantages of ceramic capacitive technology in low-pressure sensing now available to the broadest spectrum of industrial applications. Designed to withstand harsh environments, it features superior EMI protection, outstanding shock and vibration performance, impressive longevity and lifetime performance and high quality.